To add a new widow to your roster go to: Membership -> Add Member. Fill in the form, selecting the Widow option, just below the Spouse name field. To add a new Domestic Affiliate go to: Membership -> Add Affiliate. Fill in the form selecting your lodge, as the lodge to affiliate with. If you are adding an Honorary member check the Honorary check box. After you have completed the form click the “Next” button. The next page will show you the brother’s Masonic status in Grand Lodge, as well as the other domestic lodges they are affiliated with. If the brother is in good standing click the confirm key to add the member to your lodge. Once you have added a member to your lodge you will be forwarded to the Find Member screen. This allows you to immediately look the member up, edit them, and set their Lodge Member Type. What is a foreign affiliate? A foreign affiliate is any Mason who wishes to join a lodge in your Grand Jurisdiction who does not belong to a lodge in your Grand Jurisdiction. Before you can vote on the petition for affiliation of a foreign Mason you must get clearance to do so from your Grand Lodge via the Grand Secretary. 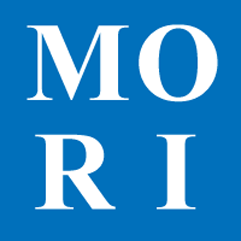 How does MORI handle foreign affiliates? The MORI system is designed to collect information about foreign affiliates, which is conveyed to your Grand Lodge to allow them to check the status of the brother. Once the brother’s status has been ascertained the affiliation will either be approved or denied. If your Grand Lodge approves a petition for affiliation by a foreign Mason, then and only then can the lodge ballot on the petition. On the main menu go to: Membership -> Add Foreign Affiliate. Fill in the form. You will need to fill in the brother initiating, passing and raising date, as well as the lodge from which he is affiliating. You will need to select the Grand Jurisdiction under whose authority he received his degrees, and whose lodge he currently belongs. On the main menu go to: Membership -> Pending Foreign Affiliations. This page is broken into four sections: New, Pending, Approved and Denied. Pending foreign affiliations when first entered into the system, before Grand Lodge has taken any action on them, will be in the new section. Once Grand Lodge has begun to work on a petition it will be in the pending section. If a petition has been approved it will be moved to the approved section. If a petition is denied it will be moved to the denied section. While a petition is moving through the process there will be notes attached to it, which can be reached through the link in the options column. These notes will allow you to see what actions Grand Lodge has taken, and what responses they have received from the foreign jurisdiction.